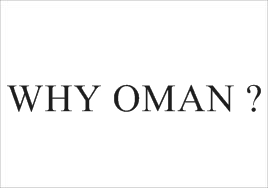 Perhaps, most of us have never heard of Oman, a country which is surrounded by many Arab states. When I told my friends that I am going to explore Oman, their instant reaction was – ‘are you sure’ ? They said it is an Arab state and you may face a lot of problems. I have been planning to visit this beautiful country for a very lone time. I have read several articles on Oman on various travel magazines, which further added fuel to the fire. But the real question is why Oman ? Is it worth a visit ? My answer is – yes. There is no dearth of stunning locations in this beautiful country. There are many incredible places like Bandar Khayran Reserve and Jabal Shams (Sun Mountain), which entice you to visit Oman, at least once in a lifetime. If you are a travel photographer like me, then rest assured, Oman won’t disappoint you. Rich in heritage, the country is replete with reserves, valleys, mountains, caves, deserts, beaches, islands, water springs, lagoons and rocks park. And it provides great accommodation for everyone, be it a budget traveler or a luxury traveler. So, I don’t know about you, but I m ready to explore this wonderful country and have a life-time experience. Can’t wait to see photos then 😀 enjoy your trip to Oman! The Musandam Peninsula is gorgeous and def worth a visit, amongst others. I guess you have been to this place. waiting to read more about Oman..! !